The visitors’ 97-run win in the third ODI completes a 3-0 series win, and pushes them atop the ICC team rankings. 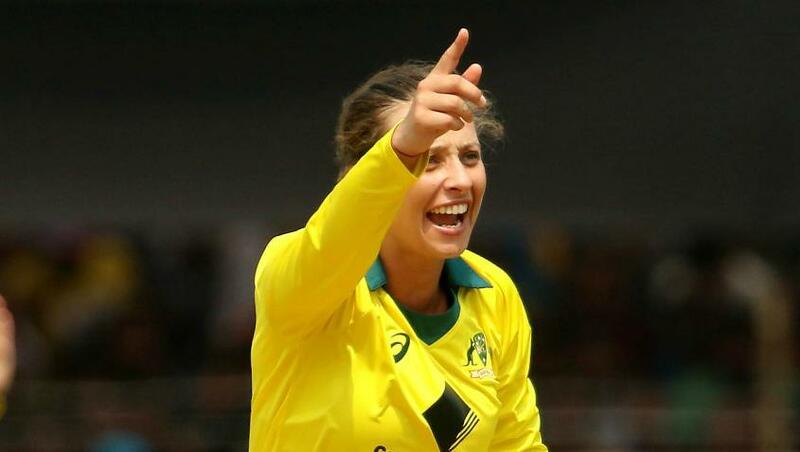 Alyssa Healy’s first century in one-day international cricket, followed by a ruthless display with the ball powered Australia Women to a third consecutive victory in Vadodara on Sunday. 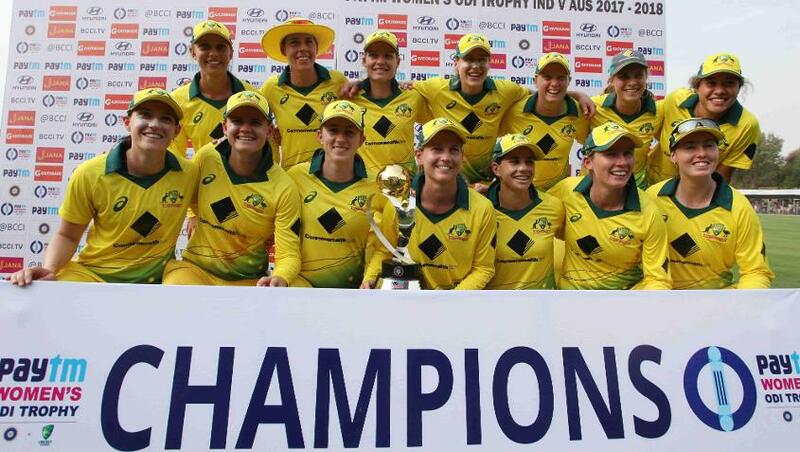 India were once again defeated by a considerable margin – this time by 97 runs – and it meant Australia swept the series, which is a part of the ICC Women’s Championship, 3-0. After opting to bat, Healy’s 115-ball 133 and contributions from the middle-order helped Australia post a mammoth total of 332/7 – the highest by either side in the series. India went about the chase the right way, with a strong opening stand of 101 between Jemimah Rodrigues and Smriti Mandhana. However, India couldn’t build on that commanding start as Ashleigh Gardner, Ellyse Perry and Megan Schutt called the shots, and were bowled out for 235 in 44.4 overs. The result meant Australia jumped to the top of the MRF Tyres ICC Women’s ODI Team Rankings. Despite chasing a daunting total, for a while India looked on course for a famous win. Rodrigues made her intentions clear in the very first over, with consecutive fours off Schutt. Mandhana joined in a couple of overs later, picking on Gardner, and the two ensured Australia didn’t bog India down – the 50-run mark was crossed within eight overs. They carried on, rotating strike and picking the boundaries when they could. Mandhana brought up her half-century in just 41 balls with a flick for four off Nicola Carey, and the 100-run mark was crossed in the next over – the 14th of the innings – with Rodrigues picking consecutive fours off Gardner. That was about as it good as it got for India though. Gardner dismissed both batters in consecutive deliveries – Rodrigues holed out for a 41-ball 41 with a top edge, and Mandhana missed her sweep to be trapped in front for 52 off 42 balls. The quick wickets took the fight out of India. Some of batters managed starts thereafter. Mithali Raj and Harmanpreet Kaur added 46 runs for the third wicket, with Kaur looking to attack while Raj sealed up her end. Kaur did find the fence a few times, but was caught behind for a 26-ball 25 attempting a cut off Carey. Raj was the next to fall, attempting to up the ante after a 38-ball 21 and holing out to Rachael Haynes off Jess Jonassen. Deepti Sharma and Sushma Verma tried to launch a fightback with a 39-run stand for the sixth wicket. But when Schutt sent back Verma for a 35-ball 30 and Sharma followed suit in the next over off Perry for a 49-ball 36, the writing was on the wall. In the morning, Healy ensured Australia were never really in much trouble. They did lose Nicole Bolton for 11 in the sixth over, but Healy took charge and posted important partnerships with Meg Lanning, Perry and Haynes. Healy added 45 with Lanning, the Australia captain, before Sharma sent back Lanning in the 11th over, Raj taking an excellent catch in the covers. Perry then joined Healy, and the two plundered more runs, putting on a 79-run stand for the third wicket, with Healy bringing up her half-century in just 47 balls. 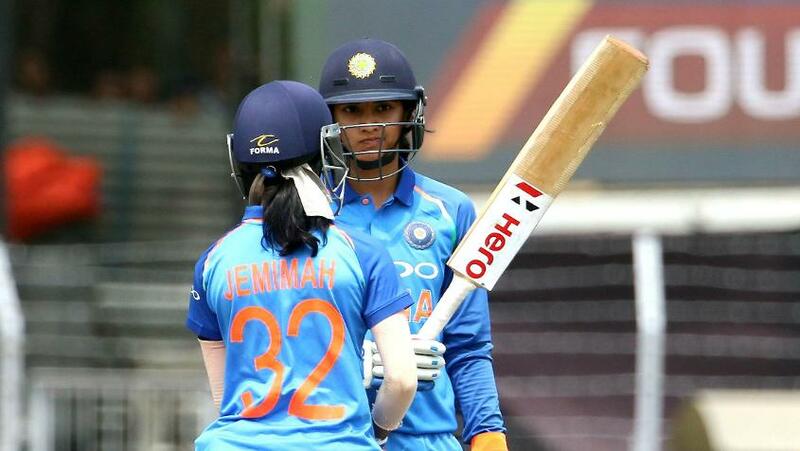 The two carried on, boundaries coming in plenty with Healy even lifting a six off Pooja Vastrakar, but a bowling change did it for India – Shikha Pandey came in for a second spell, and had Perry caught behind for a 60-ball 32 with her first delivery. Yet again, India couldn’t capitalise, with Healy associating with Haynes for Australia’s biggest partnership. Their 96-run stand took just over 12 overs, with the batters ensuring there was a boundary almost every over. 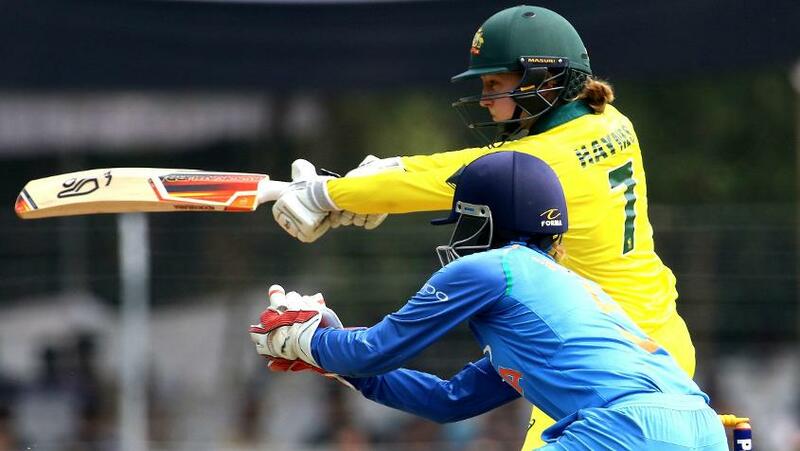 Healy’s century came off 94 balls, with a single through point, and she accelerated further thereafter – the 38th over sent down by Pandey proved to be extremely costly, with Healy finding the fence four times. India conceded 18 runs off the over, and made matters worse for themselves when Sharma dropped Healy at cover. Healy eventually fell in the 41st over, holing out off Poonam Yadav at long-on. Haynes followed in the next over for a 39-ball 43, but Beth Mooney (34*), Gardner (35) and Carey (17*) ensured the total reached daunting proportions. The two teams will now join England to play a triangular Twenty20 International series in Mumbai.